A few days ago I wrote a nostalgia-tinged piece tracing my life through mobile phones – some 15 years now of device use and ownership. It got me thinking that tracing my life through actual computers would be a far harder game – partly because it’s over a longer period of time, and partly because so many of them were unmemorable beige boxes (the latter half of the 1990s for about a decade, basically). Pictured at the top of this article, the BBC was, like for many of my generation (at least those who didn’t have Commodores or Spectrums) where we learned computing. If truth be told, there is still a bit of my brain that has to parse code through BBC Basic to make sense of it all (which is probably why my career as a professional programmer has always been somewhat limited). The government-funded microcomputer programme of the 1980s kicked off a revolution, whether in gaming (see the forthcoming film From Bedrooms to Billions for the lowdown on that) to Symbian (the progeny of Psion, who kicked off with such significant software as Horace Goes Skiing) and ARM (the direct legacy of Acorn, the people who made the BBC). Tech City, whilst no doubt a welcome initiative, will do well to establish a tiny proportion of what occurred as a result of the early 1980s computing revolution in the UK. Of course as quickly as it erupted, the British computing thing faded again. 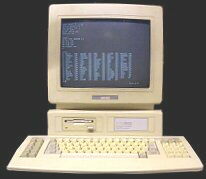 By the later 1980s we had an ST 1040 at home, a computer so American that it had an operating system called “TOS” without any sense of irony. The ST felt on the one hand incredibly advanced, but on the other completely alien. A graphic operating system meant that learning to programme it was unnecessary to be able to use it – very unlike the BBC. As a result, I didn’t bother and used the thing for word processing, a few games (we had a monochrome monitor so couldn’t play most of the good ones), and occasional bursts of music given that the thing’s big selling point for me was built-in MIDI interfaces to be able to control keyboards, drum machines and the like. So the first computer I bought with my own money (well, a loan) was an Amstrad. Whilst the world was taking on board the delights of PCs and Macs, I bought into Lord Sugar’s empire with a £500 computer that ran CP/M, the LocoScript word processor, and had a daisywheel printer as part of the bundle (for younger readers, a daisywheel printer was a bit like a golf-ball typewriter- glad I’ve cleared that up for you). It was crap. But it got me through University essay writing and my dissertation. And my good mate Dan’s dissertation. And possibly his then girlfriend’s too. And then the very peculiar 3-inch disk drive (installed, one presumes, because Lord Alan bought a job lot down on Brick Lane Market one afternoon) went pop, and that was the end of that. 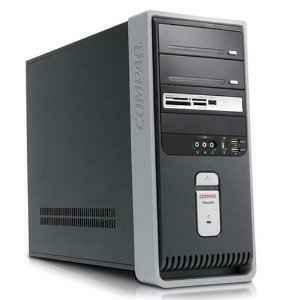 Proving that you can find photographs of anything on the internet, the PCS was my first Windows PC. After a year or so of work I realised I needed a device at home to learn more about how all of this stuff worked. 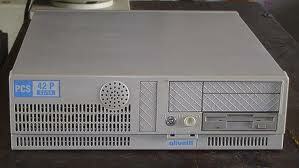 The Olivetti was the device I landed up with as it was available on an Hire Purchase deal from Radio Rentals. It was fine, but then the soundcard blew up, and as a result (eventually) Radio Rentals eventually replaced it with a Pentium model (they didn’t really have a clue about any of this computer stuff, to be honest). The PCS was the first time I witnessed video on a computer (something about the size of a large postage stamp), and was also a real workhorse for me over the years when I did a lot of electronic music. From the Olivetti in around 1994, I didn’t buy another computer of my own for about a decade, relying instead on work machines. They were mostly Compaq desktops and Toshiba laptops, and I can’t remember anything interesting about any of them. Beige Boxes. And that includes all the Macs that I used and loathed in the lowest points of the post-Jobs-the-first-time Apple era of the 1990s. I loved this. Ahead of its time in many ways, the HP had some semblance of consumer styling. You could boot it up to be a DVD player in seconds. It had a remote control. And it travelled with me a great deal in the couple of years I did consultancy in the mid-noughties. 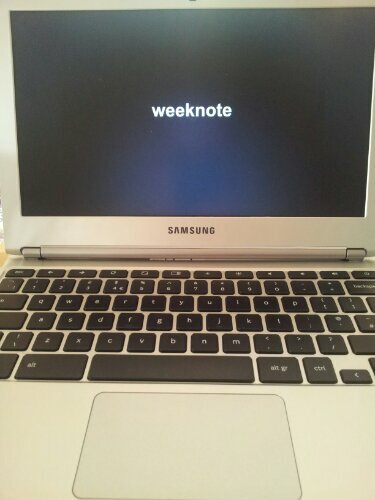 My first own-purchased laptop, it was also my first widescreen laptop. 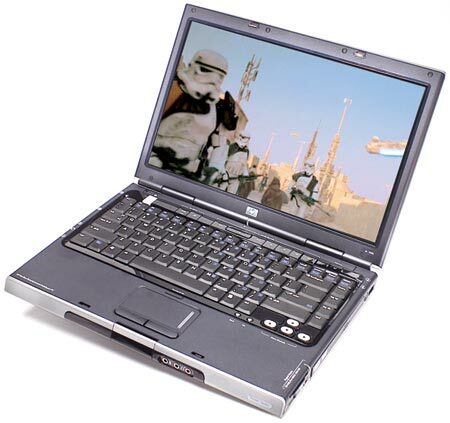 Lumping around a hefty old Dell work laptop at the same time, the HP felt like the future. Whilst the Pavilion latop was a device I treasured, I’ve had a couple of desktops in the last six years that are eminently forgettable. The mini tower is still the main computer at home, making a noise like a jumbo jet as it’s tiny body prevents adequate airflow around its AMD processor. Both epitomised the commodisation of the PC – the period when the US PC industry got, quite frankly, complacent in design. OK. Controversial… but it’s personal. And it’s a computer. And I bought it with my own money. 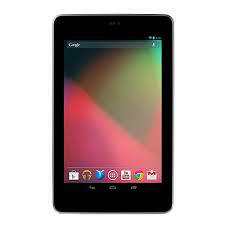 The Nexus has been an interesting plunge into the world of Android tablets. I go through phases of using it and not, but where it’s been a big hit is with the kids. Most of the apps on it now are kids-focused ones, and it’s been an invaluable travelling (and restaurant) companion to keep the boys entertained. My most recent purchase, and my “cheap and cheerful device for carrying around when I’m out and about”. My business work is all done in the Cloud (on Google Apps and other services), and as a result the browser-only concept of ChromeOS works for me. If I’m on the move I use my phone, most places I sit down to work I can get wifi, and I can always set my phone up as a hotspot if necessary. It’s cheap (£230), light (1kg), has great battery life (6 hours ish), and it has also allowed me a bit of hedging time as we wait to see what will be the next generation of Windows 8.1-PCs. My hunch is that what I’ll be getting next is a WIndows all-in-one for the office at home primarily acting as a staging server for all of the photos that we take, and another Android tablet given that the kids keep nicking the Nexus 7. But increasingly the reality day-to-day is that the most important device I own is my phone. 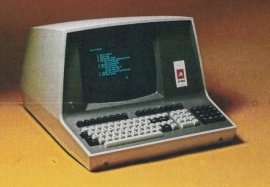 On a positive note the fact that the Amstrad was so unappealing was beneficial in motivating me to finish my dissertation as quickly as possible. That and the imminent deadline.